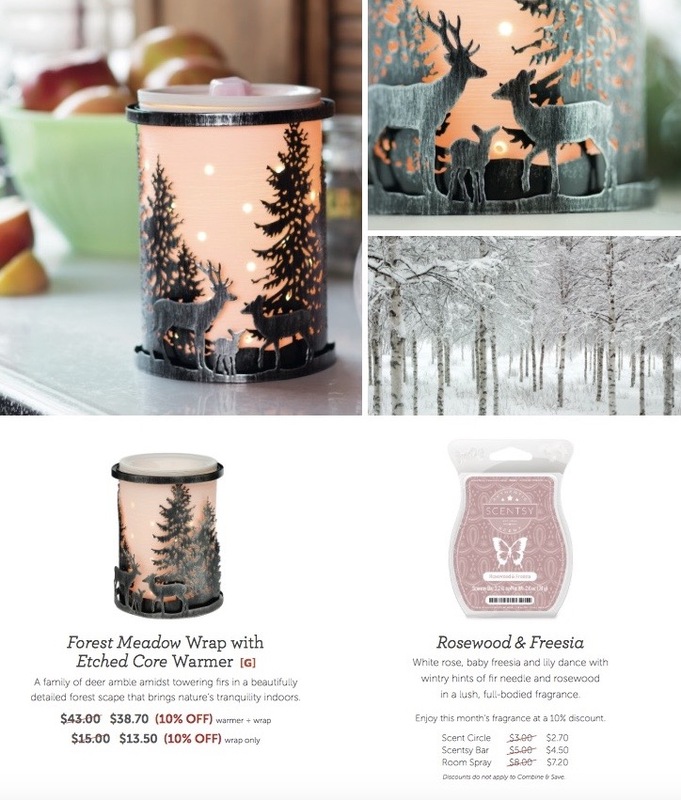 The December Forest Wrap is NOW part of the Scentsy Regular Catalog – Purchase the Forest Meadow Wrap here! A family of deer amble amidst towering firs in a beautifully detailed forest scape that brings nature’s tranquility indoors. $43.00 $38.70 (10% OFF) warmer + wrap, $15.00 $13.50 (10% OFF) wrap only starting December 1, 2015 for the entire month while supplies last. White rose, baby freesia and lily dance with wintry hints of fir needle and rosewood in a lush, full-bodied fragrance. Update 2016: On closeout while supplies last! 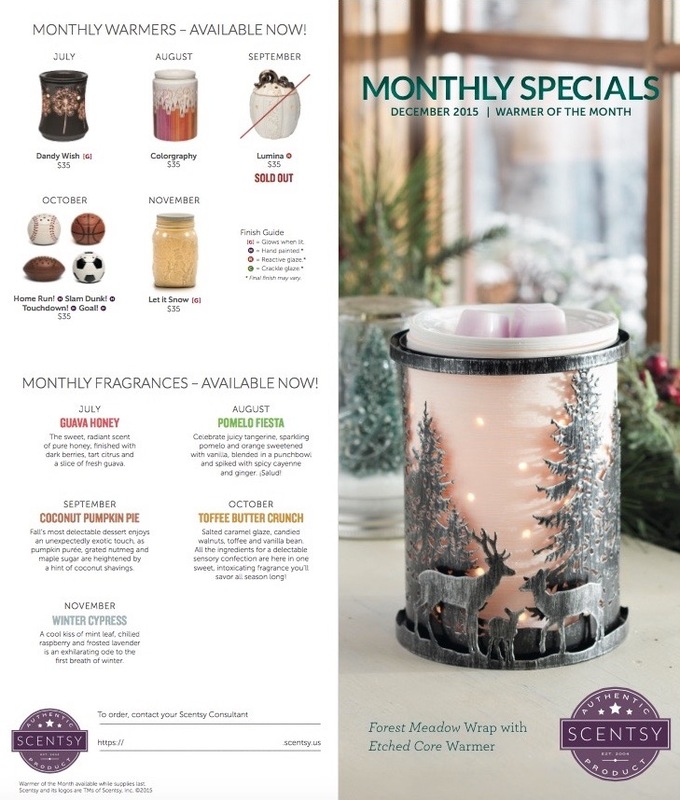 December 2015 Warmer of the Month Forest Meadow Wrap is now SOLD OUT ~ Scentsy Let it Snow Warmer is now on sale in its place, while supplies last or until the end of December! 10% off the Month of December!